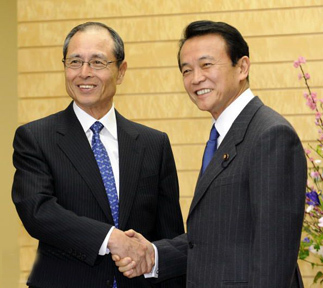 In 2009 Japan’s Minister for Foreign Affairs Mr. Hirofumi Nakasone honored his favorite baseball hero – Sadaharu Oh - by naming the former Softbank Hawks manager as a special ambassador for Japanese baseball. Since his retirement, Oh also served as an adviser to Japanese baseball commissioner Ryozo Kato. 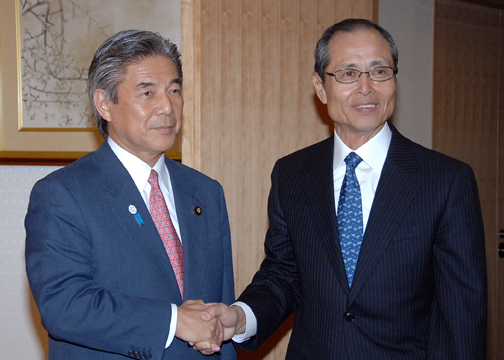 ‘‘Making exchanges with other countries through baseball will also benefit Japan diplomatically,’’ Nakasone said in formally delegating the task to Oh. The day was also marked by a visit by Prime Minister Taro Aso, who said he could not think of a better person to promote friendship with the U.S., Asia and other countries by means of baseball." Oh has remained committed to inspiring young people (both in Japan and around the globe) since forming the World Children's Baseball Fair with fellow home run legend Henry Aaron in 1989. The event is held at different locations around the world each year (2010 event was in Tokyo) to foster an environment of world understanding and cultural exchange through the celebration of baseball.